We urge those of you who haven’t yet called your representatives about the farm bill to take a look at the Sustainable Agriculture Coalition website and call the numbers on the site–we need to seal up the dealio with 15 million for beginning farmer funding (see this action alert to get started). Maybe, or maybe we ‘ll have a better time under Obama–that is the kind of question to ponder I suppose, to each his/her own conclusion. That is the democracy I’m into, not monopolist throatclenching hegemony. Aimee Witteman, a young famer and young policy wonk down in Washington, works as a grassroots organizer for the Sustainable Agriculture Coalition (SAC). She has shared the following policy recommendations for the beginning farmer and rancher initiative (policy recommendations below). 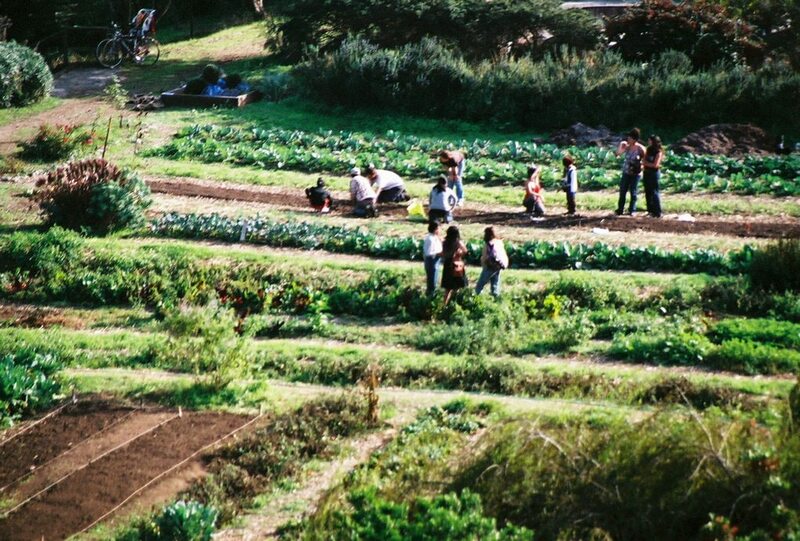 These funds would trickle down via grants made to organizations like Farm Beginnings, Land Stewardship Project, California Farm Link, and MOFGA farmer among others. These organizations run trainings, make loans, connect aspiring and retiring farmers, help interface with land-owners, and provide mentorship, support and business planning advice to new growers. More about such organizations can be found on the foryoungfarmers wiki. As we become more actively engaged in the poltical process –with the changing of the guard in Washington this is a much tamer pony to bridle–it is important for us to clearly articulate how we would like these monies to be spent. Please do get in touch with us about the particular challenges in your region. Think big with your requests–agribusiness is subsidised federally, and super-market organic is subsidized by bourgeouisie. Less pesticides is certainly a wonderful improvement, but we mustn’t be tricked by our compassionate economist friends who would lead us to believe that retail cost reflects total cost–or that cost reflects efficiency. Industrial agriculure is not effiicient, it is not cost effective. It is costing us our soil, our health, our countryside, our drinking water and our children’s prospects. In Norway and Ireland wonderful programs exist to incent/reward organic production, and friends in Cork are getting 50% cost share from the government to build an organic beer brewery. In Switzerland the farmers are paid to leave the flower heads intact for pollinators, to maintain buffers on the forest edge, to allow the swallows to nest. The Natural Step project help farmers along a trajectory of sustainable management starting with IPM and ending up with input reduction, on-farm fertility management and grey water. We must push for such programs here—and the Greenhorns are putting together our own policy platform to submit to the Obama campaign. Your contributions will make that document reflective of your region. Please be involved. We must change the system, outlive the system, plan beyond the system, and inhabit a future we create for ourselves. 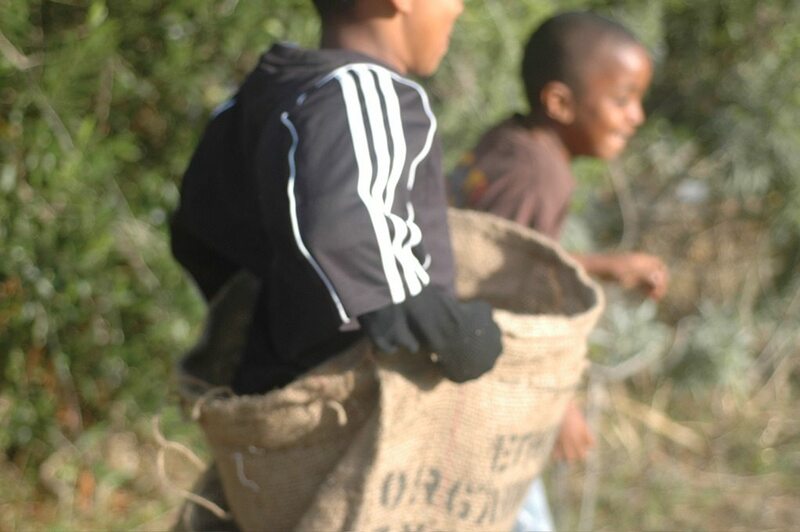 Please email us your comments to farmer@greenhorns.org. We’ll send you a draft document if you do. New farmers and ranchers are much more diverse than previous generations. In addition to next-generation farmers from multi-generation farm and ranch families, this new generation includes former farm workers, people from non-farming backgrounds such as mid-life career-changers, and college graduates who have chosen farming as their first career. They include more women than ever before as well as families with Hispanic, Somali, Hmong, and Eastern European backgrounds. This diverse new generation of farmers and ranchers has very different challenges and needs than previous generations. Adequate access to training, technical assistance, land, credit and markets are critical to their success, however current farm policy is clearly deficient in these areas. The future health and vitality of agriculture, the food system, and rural communities will depend on public policies that encourage this new generation to work in agriculture and manage land sustainably. The Beginning Farmer and Rancher Development Program should be reauthorized and granted at least the $15 million a year in farm bill funding provided in the House version of the bill. The BFRDP is a competitive grants program supporting education, extension, and technical assistance initiatives directed at new farming opportunities. The BFRDP supports collaborative local, state, and regionally-based networks and partnerships to supply financial and entrepreneurial training, mentoring and apprenticeship programs, “land link” programs, and education and outreach activities to assist beginning farmers and ranchers, including targeted funds for socially disadvantaged producers. A Beginning Farmer and Rancher Individual Development Account (IDA) pilot program should be made available in at least 15 states with at least $5 million in annual mandatory funding. An IDA program uses financial training and matched savings accounts to assist those of modest means to establish a pattern of savings. In the case of beginning farmers, the account proceeds may be used toward capital expenditures for a farm or ranch operation, including expenses associated with purchases of land, buildings, equipment, or livestock, or toward acquisition of training. The Beginning Farmer and Rancher Down Payment Loan Program combines the resources of the Farm Service Agency, the beginning farmer, and a commercial lender or private seller, allowing limited federal dollars to be spread to more beginning farmers and ranchers. The 2008 Farm Bill should include the House bill’s provision that reduces the interest rate to 1%. The final farm bill should also reflect both the House and Senate version’s other improvements to the program, including reduced loan rates and down payment requirements, deferred first year payments, and an increase in the existing $250,000 maximum allowable farm sales price to $500,000 on the maximum allowable portion of farm sales price eligible for the down payment loan to better reflect current market realities. The Beginning Farmer Land Contract Pilot Program adopted in 2002 promotes private land contract sales as a way for retiring farmers to transfer land to new farmers. The 2008 Farm Bill should include the House and Senate provisions that make the pilot program a permanent nation-wide program option. In addition, the final farm bill should include the House language that extends the current 2-year limit on payment guarantee, and include a new option for a standard 90% guarantee of the outstanding principle. The 2008 Farm Bill should adopt the Senate provision that includes New Farmer Research funding as part of rural and agricultural entrepreneurship priority within IFAFS. The 2008 Farm Bill should include a Risk Management Education Emphasis, as included in both the House and Senate bills that emphasizes making grants for risk management for beginning and socially disadvantaged farmers and ranchers. Conservation and Stewardship Incentives for New Farmers and Ranchers can help new farmers get a good start in agriculture, while getting more ‘bang for the buck’ out of conservation programs by creating a whole generation of conservation excellence. Retain but strengthen conservation loan authorization by adding a priority for beginning and socially disadvantaged farmers and ranchers and adding a priority for loans to help convert to sustainable or organic production systems, as included in the Senate bill. Include the 15% bonus up to 90% cost share for beginning farmers and ranchers and socially disadvantaged producers, as written in the Senate version of the bill. Reserve a 5% set-aside each for beginning and socially disadvantaged farmers and ranchers in all farm bill conservation programs for the first portion of the program year. Offer special incentives for existing owners of CRP land returning to production to rent or sell to beginning or socially disadvantaged farmers and ranchers using sustainable grazing practices or fully compliant conservation cropping systems, as included in the House bill. Authorize $15 million in annual mandatory funding for the Outreach and Assistance for Socially Disadvantaged Farmers and Ranchers, the funding level authorized in the House bill. Rename the USDA Small and Beginning Farmer Office and Interagency Council the Office of Small Farms and Beginning Farmers and Ranchers, and give the office new duties that reflect recent GAO recommendations for better data collection, coordination, and goal setting, as included in the Senate bill. This is a terrifying speech given by Monsanto excecutives about their communication strategies. Keep in mind that Monsanto and the other biotech-baddies have managed to control American’s perceptions of genetic engineering for the past 10 years at least. The story hasn’t changed even though none of the promises of increased yield, drought tolerance, salt tolerance, increase nutrition–none of these benefits has been achieved thru biotechnology–they have been achieved with traditional breeding.